Clarisonic systems are designed as skin cleaning systems while DermaWand systems are designed to induce anti-aging effects in the skin. ​The latest Clarisonic skin care systems are the Mia Prima and Mia Smart which are improved versions of the earlier Clarisonic Mia products. 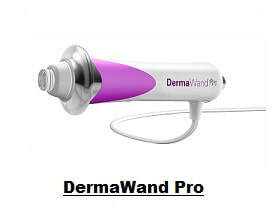 And the currently available DermaWand skin care systems are the original DermaWand and the more recent DermaWand Pro. This article will describe the Clarisonic skin cleansing systems Mia Prima and Mia Smart as well as the anti-aging skin care systems DermaWand and DermaWand Pro. Healthier skin always starts with cleaner skin. And cleaner skin is more radiant, smoother, and more beautiful. Most traditional methods of skin cleansing do not get the skin as clean as you'd wish, and they can leave in your pores impurities such as dirt and oil. The accumulation of such impurities can damage the health and appearance of your skin and hinder the beneficial effects of your skin care creams by blocking their absorption into the skin. Skin Cleansing Systems help you achieve the thorough cleansing job that traditional methods fail to do. 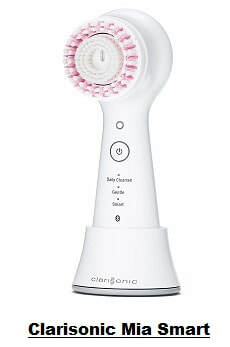 The Clarisonic Skin Cleansing Systems use a patented sonic frequency of more than 300 oscillating movements per second to gently remove makeup and dirt from the skin. The company claims that their products can remove at least six times as much makeup and twice as much dirt than traditional cleansing methods. This is made possible by gently moving on the skin the specially patented cleansing brush-head, the result of which is a sonic micro-massage that works within skin's natural elasticity to gently remove the impurities that traditional methods leave behind. The spinning and rotating brush can twist and tug on delicate skin, and the gentle back and forth movement paired with water, creates a vacuum effect to remove dirt, oil and makeup from the skin's surface and pores. This leaves the skin cleaner, softer and smoother. With sonic facial cleansing, when properly done. you should observe smoother and more radiant skin in about a 1 week and have less visible pores in about 4 weeks. Clarisonic products are the most popular and according to independent reviewers the best performing skin cleansing systems available today. They are trusted and used by dermatologists and skin care professionals. Gentle face brush for all skin types, safe to use twice a day, even for sensitive skin. One single mode, one button and 60 seconds cleaning cycle for fast and simple skin cleansing. Comes with the Daily Radiance brush head, but it also works with any Clarisonic cleansing brush head. Gently cleanses skin 6x better than hands alone. See brighter, more even skin with less visible pores after regular use. Skincare products absorb better after cleansing with Mia Smart. Soft Start feature helps skin adjust gently to sonic cleansing, gradually increasing power. It is waterproof and safe for use in the shower or bath. It needs to be charged and comes with a USB charging cord. It removes 99% of makeup, dirt, and oil. It connects to the ​​Clarisonic app which uploads to your device and customizes expert recommended routines for your personal skin goals and tracks your improvements. It features 3 cleansing modes (Daily Clean mode, Gentle mode and a Smart mode). The Smart mode can run all applicators & routines and a timer that guides you through each zone of your face. It comes with a charging stand and will provide you with up to 128 minutes of use per full-charge. its ​Soft Start feature gently transitions your skin to sonic cleansing over the first 2 weeks of use. Winner of an O, ​The Oprah Magazine, Fall 2018 Beauty O-Ward. The fight against wrinkles and aging goes back to the dawn of time. But it's only since the last few decades that really effective electrical products have been made available at cosmeticians' studios to fight the signs of aging skin. The advantage of Derma Wand skin care systems is that they are some of the best anti-wrinkle devices available that can also be easily used at home, in your own privacy. Radiofrequency: Emission of short waves that turn into heat and increase the production of collagen required by healthy skin. Oxygenation: Diffusion of enriched oxygen molecules. DermaWand gives off enriched oxygen which bathes your skin while you're using it. Enriched oxygen will help breathe new life into your skin's surface and is a natural cleanser that helps reduce pore size. Massage Stimulation: Emission of electrical micro-pulses that stimulate cell activity. DermaWand delivers gentle microcurrent at more than 100,000 cycles per second, producing a massage effect. Massage helps improve circulation and brings fresh blood, oxygen and nutrients to the skin's surface. ​Thermal energy: Activation of the kinetic energy inside the layers of the skin.​ The gentle microcurrent delivers thermal energy to the dermal areas under your skin's surface, and increasing dermal skin temperature may help support your skin's natural healthy look. The combined action of these four functions help reduce wrinkles and dark circles around the eyes, reduce puffy eyes and imperfections on the forehead, eyelids, chin and cheeks, and reduce enlarged pores. Even relatively minor blemishes such as rashes and facial redness can be alleviated.​ In summary, it brings vital nutrients back to the surface of the skin, providing it with a younger look. Note that even if DermaWand is known mainly as a facial rejuvenator, it can be used for the rest of the body like your décolleté, legs, stomach, etc. The new DermaWand Pro is 50% more powerful than the standard model. It is equipped with 3 additional treatment levels: 11 levels instead of the 9 levels on the standard model. It has a new sleeker and more comfortable design than the standard model. ​It is important to note that the effectiveness of both DermaWand devices depends on the frequency of use. For noticeable results, it is recommended to use it at least twice a day, in the morning and in the evening. However, if your face is deeply marked with wrinkles, even that kind frequency will not be enough to clear the wrinkles. The best thing to do, is to start using DermaWand as soon as you notice your first wrinkles appearing, and you will observe some remarkable results. At each use, you will need to use your Derma Wand several times in a row, in an upwards motion, on areas where the signs of aging are most visible. So which of these skin care systems is best for you? As explained above, the two skin care system brands considered here are designed for different purposes: Clarisonic systems are mainly for cleansing the skin, while DermaWand systems are mainly to reduce the aging effects on the skin. 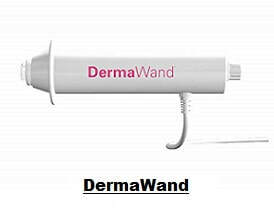 If you are under 40, and no wrinkles or other skin defects are visible on your skin, you will not need to use DermaWand yet. 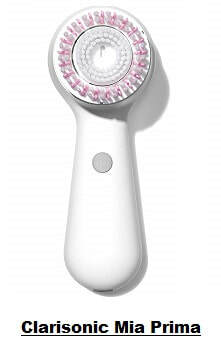 But, if you use makeup, you may still need to use a Clarisonic skin cleanser to keep your skin clean and healthy. Now, if you are over 40, or you already see some signs of aging on your skin, and you also use a lot of make up every day, then you should be getting both a Clarisonic skin cleanser to remove thoroughly your makeup everyday and keep your skin healthy, and a Derma Wand anti-aging skin care product to prevent or stop wrinkles and other skin defects. You will find below on Amazon both Clarisonic and DermaWand products described above. You will find below the Clarisonic and DermaWand anti aging skin care systems described above. ​Please click your selected product to check the exact price or to purchase. Note: Amazon often provides a good discount on the List Price of sold products. If such is the case, the List Price and the actual Amazon price will be shown when you click the images below.